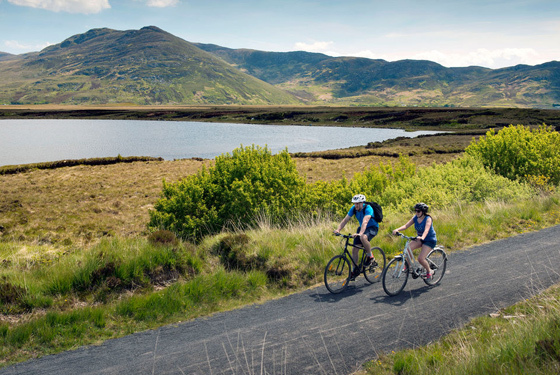 From historic towns to island adventures and nature havens to breathtaking bays, County Mayo’s Great Western Greenway is a pathway packed with some of Ireland’s best cycling scenery. A town teeming with heritage, breathtaking bay views and island adventures fit for a (pirate) queen: experience it all in the scenic 250-year-old town of Westport. 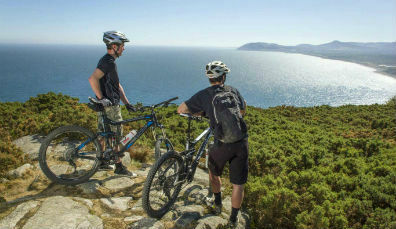 Cycle straight to Westport House in the heart of town and swap your bikes for train carriages with Westport Train Tour. 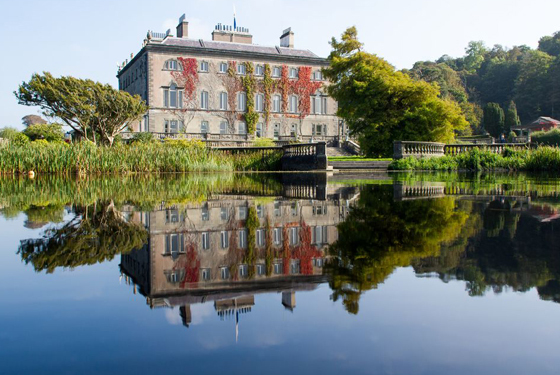 Enjoy a guided jaunt through the gorgeous grounds of Westport House, Westport Quay and the stories and sites of Westport town. Upon your return, set off on a guided tour of the opulent estate for a peek at marble marvels, engrossing exhibitions and the history of Grace O’Malley, the Pirate Queen of Connacht, who once ruled land and sea throughout the area and beyond. Westport House Activity Centre offers adventurers archery lessons, orienteering expeditions and a 240 metre zip wire ride through picturesque surroundings. 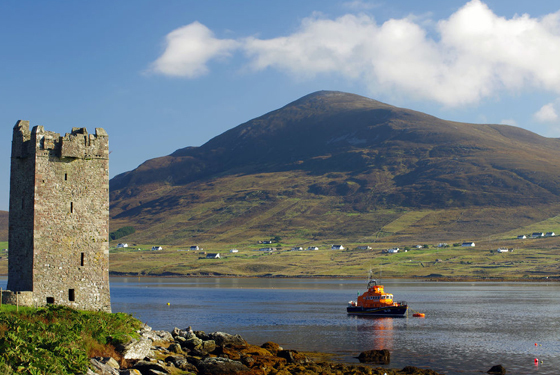 Board a bus in Westport to Roonagh Pier by Clare Island Ferry during the summer months and be whisked away on the water to Grace O’Malley’s ancient homeland, Clare Island. 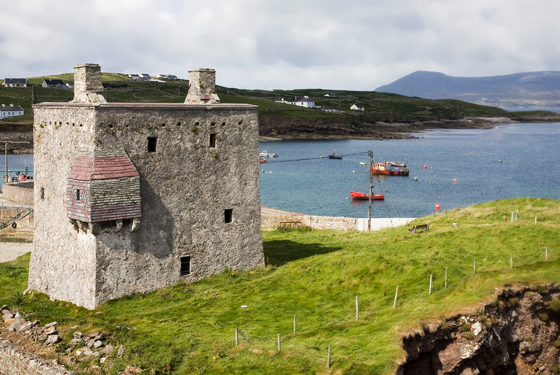 Wander the island on foot exploring the Pirate Queen’s stone clad fortress, Granuaile Castle; peruse medieval masterpieces in The Abbey church; and explore Ireland’s only two-towered lighthouse, guarding the entrance to Clew Bay. Return to the harbour and enjoy your last look at the island as you journey back to Roonagh Pier by ferry, where a bus awaits to return to Westport. Enjoy live music sessions most weekends at Clare Island Community Centre or tuck into tasty food at Sailor’s Bar and Restaurant. From regal roots to country house charm, the picturesque town of Newport is a treasure trove of historic sites. 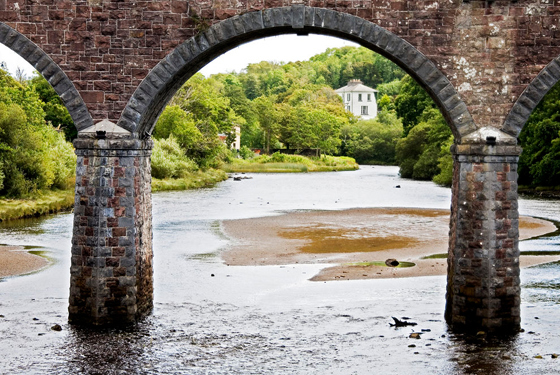 After a leisurely cycle from Westport to the heritage town of Newport, take the time to admire the seven-arch railway viaduct, spanning the Black Oak river. Refuel in the Georgian gem of Newport House, for home-smoked salmon and seasonal local foods. Newport has a rather impressive claim to fame, Princess Grace of Monaco’s ancestral homestead can be found on the edge of the town in Drimurla. Today, a park in her name lies behind these humble cottage ruins where her paternal grandfather, John Kelly, once lived. In the centre of Newport, admire Harry Clarke’s stained-glass masterpiece, The Last Judgment in St Patrick’s Church. 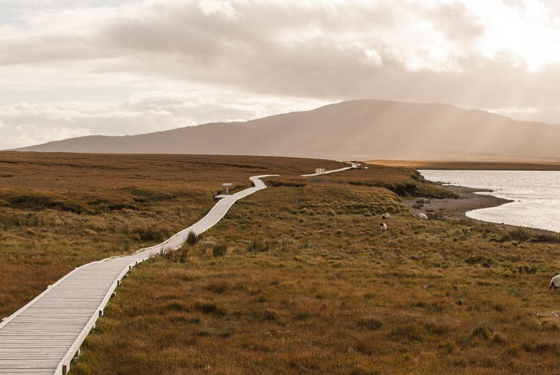 Throughout July and August, hop aboard the free bus service from Newport to Ballycroy National Park for nature trails, habitat exhibitions and diverse flora and fauna on this blanket bog landscape, laced between the towering beauty of the Nephin Beg mountains. Ireland’s first International Dark Sky Park can be found within Ballycroy National Park. When night falls and the clouds part to reveal the heavens, look up and marvel at the twinkling stars and even meteor showers shining bright for all to see. 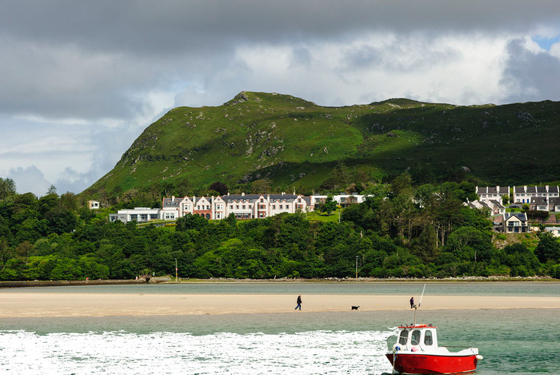 Nature has nurtured the seaside village of Mulranny with an abundance of flora, fauna and natural beauty sure to inspire all who visit. You never know what treasures you may find at The Greenway Antiques & Book Store. 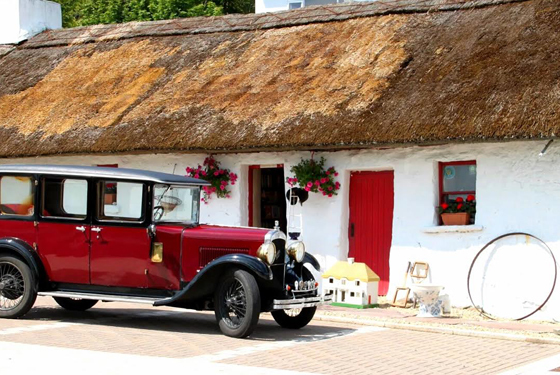 Situated in Mulranny town, this quaint thatched cottage stocks a sweet selection of rare books and ornate antiques, offering an array of unique keepsakes of your cycling journey. Beginning from Mulranny Park Hotel, Lookout Hill Loop is one of three scenic walking trails traversing Trawoughter Bay along the village’s unique causeway. Expect woodland, beaches, dunes and a sea lavender-strewn salt marsh, along with stunning views of Clew Bay against the backdrop of Croagh Patrick mountain. Stop for a bite to eat at The Dánlann Yawl Art Gallery, Painting School & Coffee Shop in Owenduff, just outside Mulranny. 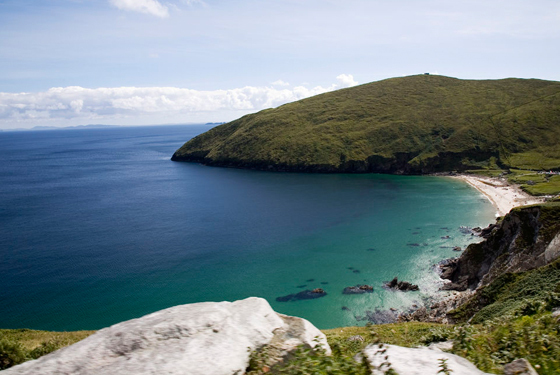 Should inspiration strike amidst these mountain views and seascapes, weekly painting workshops are held in The Old Stable Studio with trips to Achill Island on occasion. 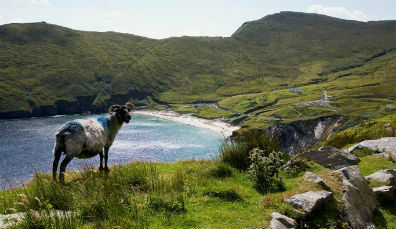 Achill Island has attracted artists, writers and adventurers for centuries - and it’s no wonder, with its abundant beaches, rugged sea cliffs and untouched wilderness. The Pirate Queen, Grace O’Malley, marked these lands as her own with The Tower at Kildavnet guarding the passage between Clew Bay and Blacksod Bay. 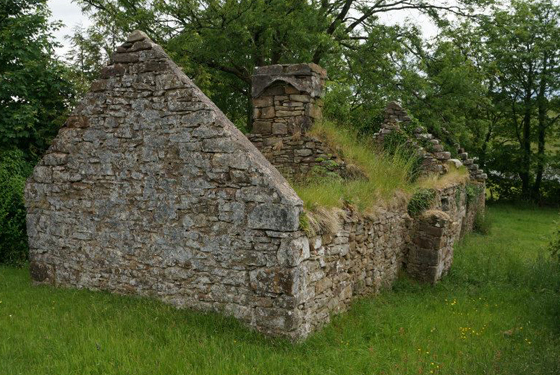 A stone's throw away, you will find the remains of a 12th century chapel, thought to be built upon the original site of St Dympna's church from the 7th century. 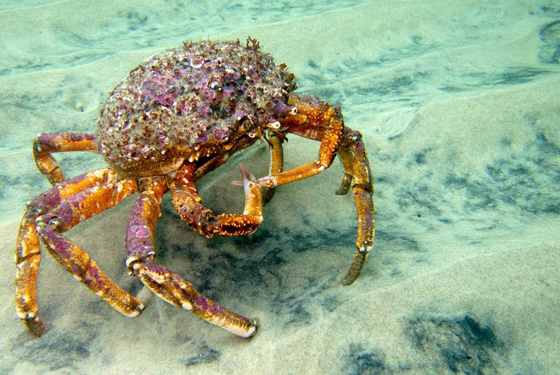 The Achill Experience Centre is stocked to the brim with creatures of the deep, insightful details about the island’s history and artistic inspiration discovered here by famous painters and writers. Last seen in 1984, Dooagh beach reemerged from its watery slumber in April 2017, after a stormy ocean blessed the bay with golden sands. 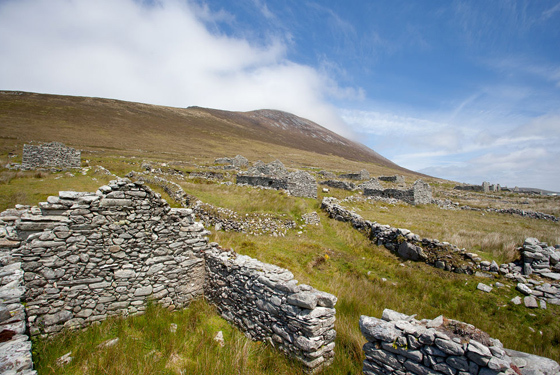 In July of each year, Achill celebrates its rich heritage and seafood splendour with Féile na Mara (The Festival of the Sea). The Gourmet Greenway food trail culminates here in Achill, celebrating artisan food producers throughout the Great Western Greenway. 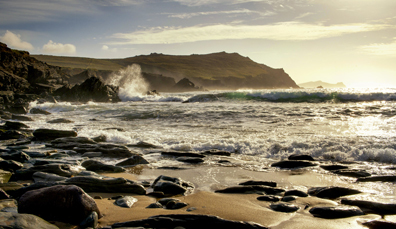 Wrap yourself in the wilderness and breathtaking beauty of the west coast of Ireland – there’s 2,500km to explore! Welcome to a kaleidoscope of raw landscapes where land and water collide along the Wild Atlantic Way. Add a holiday in Northern Ireland to your bucket list! Here are reasons why you should travel now!